Come to the golf course club which has 18 holes and nice views around. It was founded in 1993 and has seen a sharp rise in its membership over the years. It is a vibrant and a very progressive club which has one of the best stocked pro shops and a golf simulator which is rarely found. Not only this, the premises also have an inbuilt catering service and a bar which means if you wish to host a royal party at the golf course you can easily do that. Enjoy your game and see some photogenic views around. Create a customized plan for your visit using the Addingham trip planner. You can use ready templates or start from scratch for the same. Add accommodation and hotels in Addingham that suit your budget including the most recommended ones like Mercure Bradford, Bankfield Hotel, Hillcroft Barn and The Unicorn Skipton. Generate executable plans on your own or book the top rated Addingham vacation packages for your visit. Read more on how to reach Addingham. 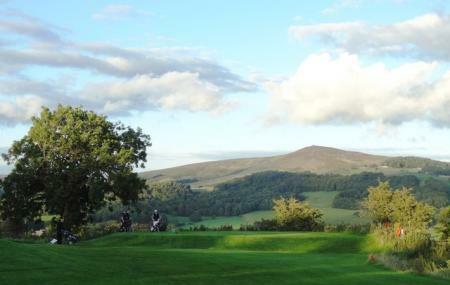 How popular is Bracken Ghyll Golf? People normally club together Salem United Reformed Church and Keighley New Church while planning their visit to Bracken Ghyll Golf. Friendly welcome, course in good condition, good food. Only negative is bar was closed when we came in however that will change when clocks go forward this weekend. Well worth a visit. Played this excellent course a few times over the last few years,always made to feel very welcome,good greens,top notch fairways and great last 2 holes to finish.will be back.